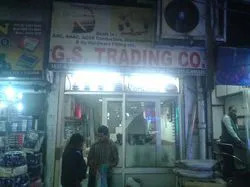 Under the visionary leadership of our mentor, Mr. Rakesh Jain, we have reached a well-known place in the market. Under his inspiring guidance our organization has achieved a new height in this industry. 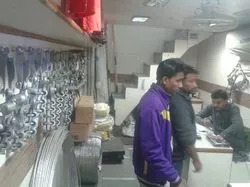 Outsource Manufacturer, Trading, Importer and Exporter of Electrical Safety Guard. We have the support of a professional’s team, which comprises skillful and hardworking experts. Our team is well-informed with the most contemporary technologies and machines. These experts work in close harmonization with the clients in order to know their exact application needs. Our team comprises of quality checkers, managerial personnel, skilled & semi-skilled workers, warehousing professionals, and marketing personnel. We have the support of a professional’s team, which comprises skillful and hardworking experts. Our team is well-informed with the most contemporary technologies and machines. These experts work in close harmonization with the clients in order to know their exact application needs. Our team comprises of quality checkers, managerial personnel, skilled and semi-skilled workers, warehousing professionals, and marketing personnel. In our chosen business, we will retain market leadership in India and ensure to be globally competitive through customer orientation and excellence in quality, innovation and technology.